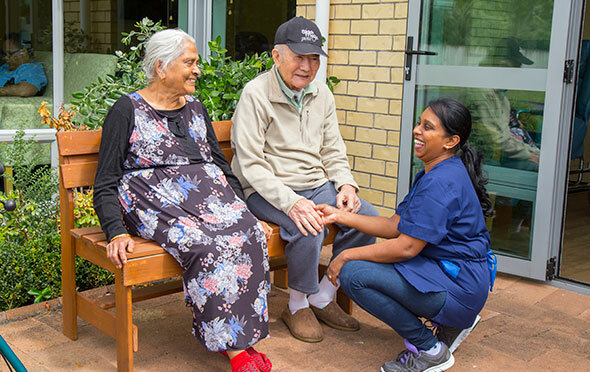 Nestled in a peaceful location at the foot of Mt Roskill, Gracedale is a modern, award-winning hospital and rest home. Architecturally designed with 36 resident rooms divided into four wings, Gracedale has been purpose-built to encourage social interaction and a sense of belonging. And to ensure residents can remain as independent as they wish, yet always feel right at home. 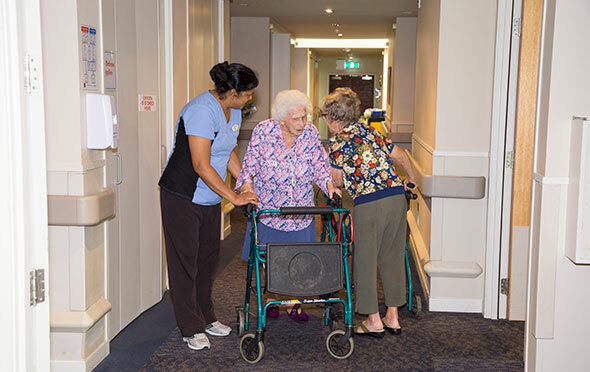 As a Christian-based, not-for-profit organisation, Gracedale’s aim is to deliver excellent and compassionate care that supports residents to remain independent, active and fulfilled for as long as they are able. The staff of registered nurses and qualified caregivers are all dedicated, caring people who have on-going training to meet the needs of all residents. HBH Senior Living manages Gracedale on a day-to-day basis. 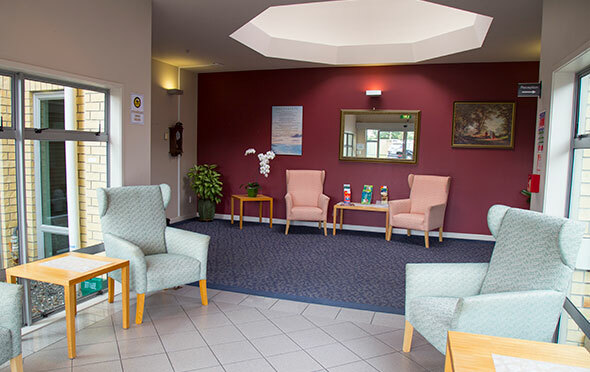 Built in 2004, Gracedale is conveniently located close to the South Western motorway, so families can visit easily. 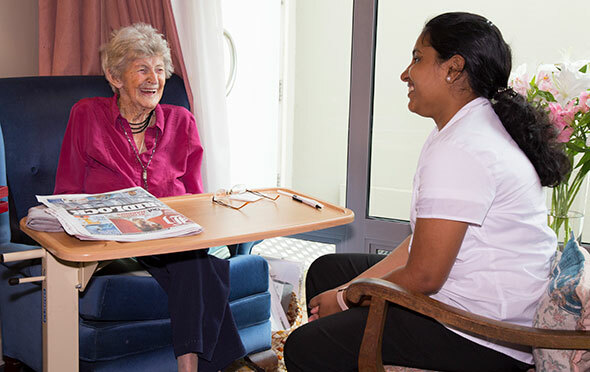 The layout is specially designed to encourage interaction among residents – each wing has its own community dining room with tea and coffee making facilities. Residents’ rooms are fully furnished, spacious and ‘home-like’, each with a large private ensuite, underfloor heating and small outside patio. A large sun lounge is also available for all residents, which flows outside to peaceful and private landscaped gardens. 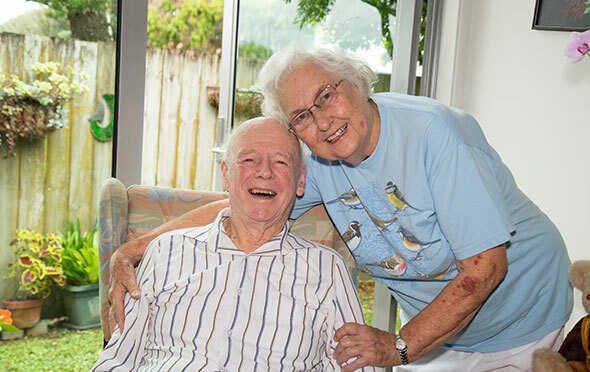 Secure, private and compassionate rest home and hospital care. 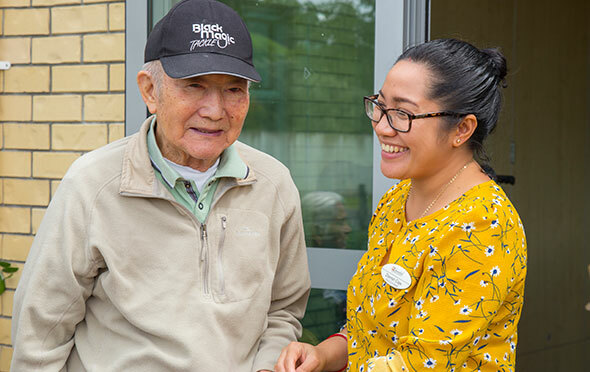 Gracedale is small and personal, with only 36 residents’ rooms and a low staff turnover, resulting in a close-knit community where everyone gets to know each other. Our Activities Co-ordinator organises a wide range of activities so that residents can continue leading a full and active life by maintaining mobility and developing new skills, including: regular outings, bus tours and shopping trips, bingo, indoor bowls, line dancing, knitting, choir, pet therapy, mobile library, ‘News & Views’ sessions, special celebrations and music and entertainment. 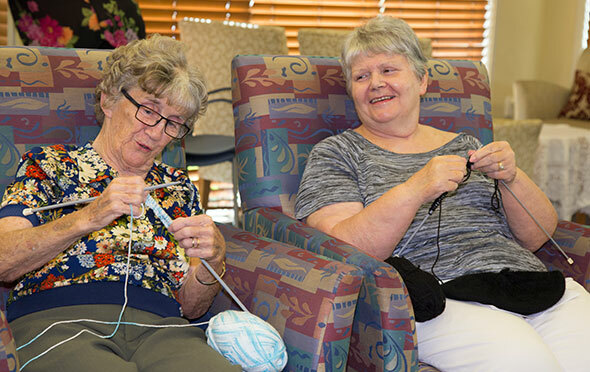 Residents can choose to be involved in activities as much or as little as they like. Life at Gracedale is kept lively with regular visits from a hairdresser and podiatrist, as well as weekly doctor’s visits if required. Residents are also invited to the in-house church service every Sunday. Meals are freshly cooked in house rather than delivered – and our in-house dietician means specific dietary needs can be catered for. And to ensure it feels ‘just like home’, pets are not just allowed – they’re welcomed! 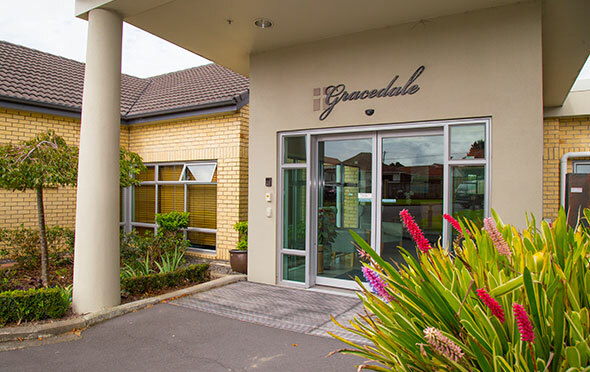 In 2010, Gracedale received the Excellence in Care award by the New Zealand Aged Care Association – the overall award for outstanding excellence in aged care. Home-cooked meals are prepared with the approval of a qualified dietician – and individual diets can be arranged for you as required. The in-house receptionist can help with ordering newspapers, making appointments with the visiting hairdresser and podiatrist, and operating a ‘petty cash system’ for smaller expenses. A private telephone can be installed in rooms if desired. A Chaplain is available for counselling and spiritual guidance, as well as weekly Church services and Bible study and daily devotions. Love to live at Gracedale? 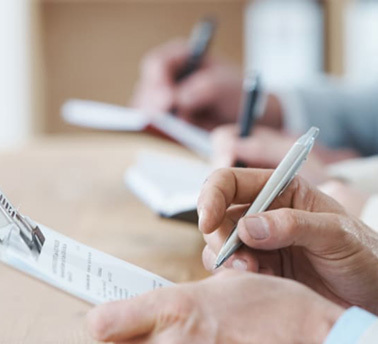 If you’d like to find out more about Gracedale’s modern, comfortable and welcoming facilities, please fill in this online form and we’ll send you further information.